This week’s painting is “Riding the Cosmic Wave”. 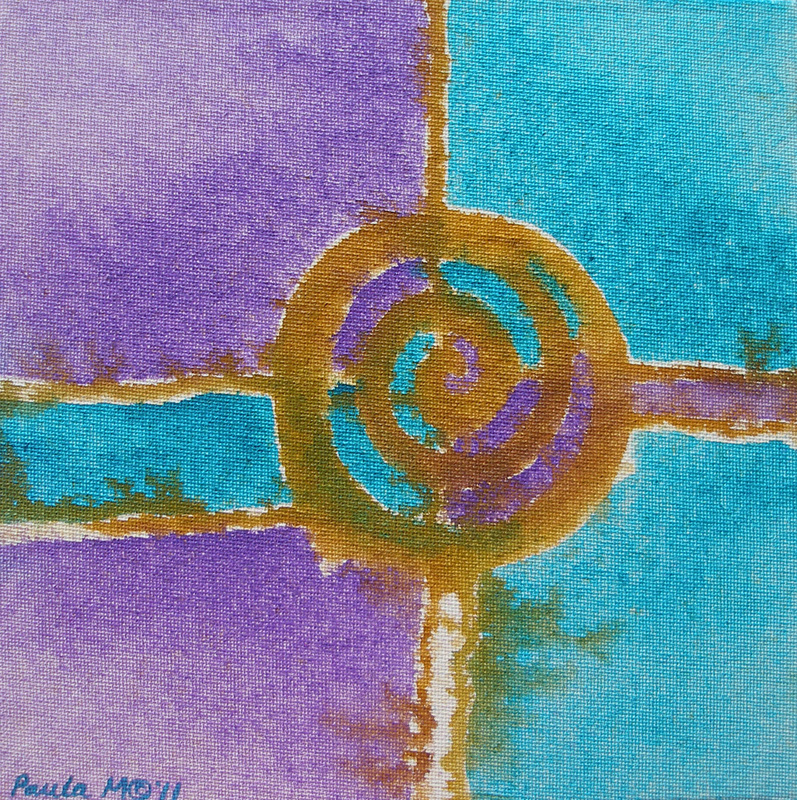 It is an 8 x 8″ oil painting on canvas board. Part of my Daily Journal Series, though they aren’t daily much anymore! 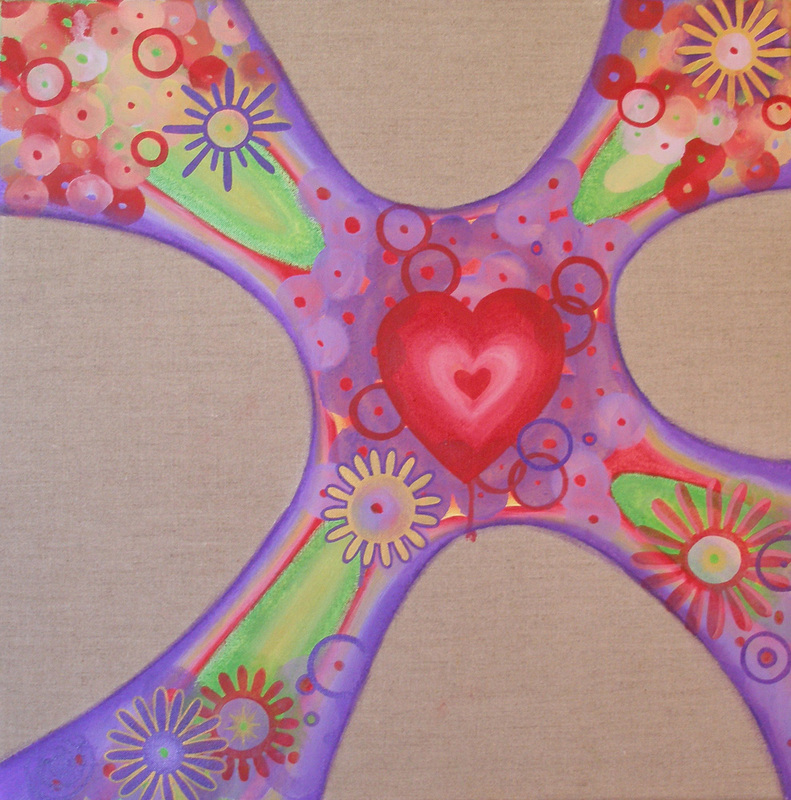 This one was painted on 7/28/11. Click here or on image to go to auction page. No Stopping a LOVE rEVOLution! 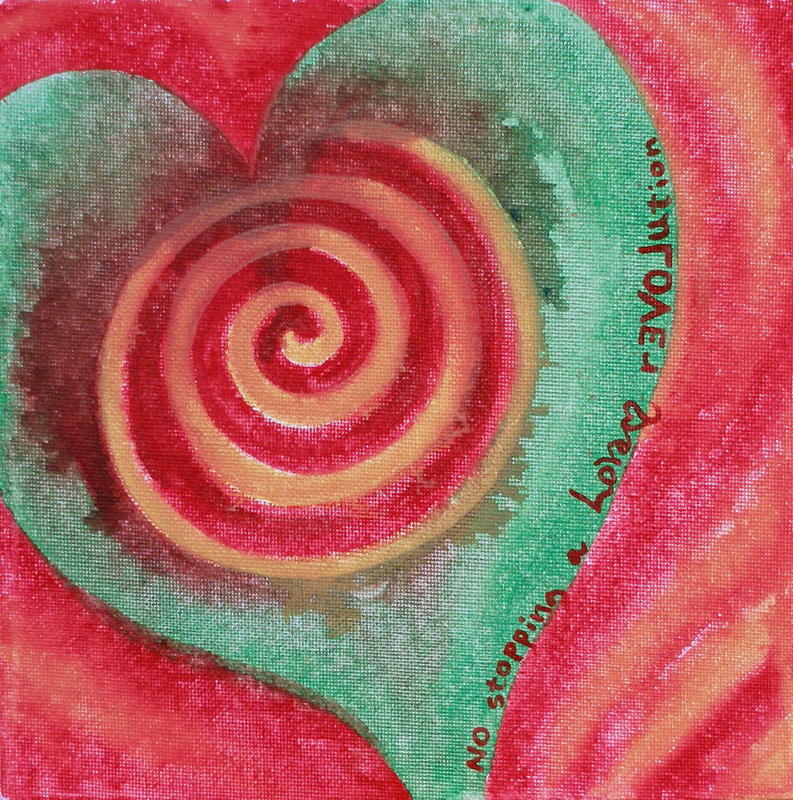 "No Stopping a LOVE rEVOLution", 8 x 8" oil on canvas board, stay tuned for next week's art auction! Cleaning out the studio, once again! I think I have moved my studio over 20 times in the last ten years! UGH! I just moved it for hopefully the next to the last time. The next time I move my studio will be to our future home in the mountains of New Mexico! Until then, I will settle for a bedroom in my house. Much better than the dining room I moved from this time. A lot more privacy, but a LOT less space than I’ve had in a long time. This has required me to clean out much more stuff so I can fit everything in. I don’t think I have been this organized in a LONG time! This is a great thing for my collectors because it means I have lots of art to clear out. Not just paintings, but prints, art pendants, etc. I decided on a couple of ways to get these deals out there to you all. I am posting five auctions this week and every week until I get done! 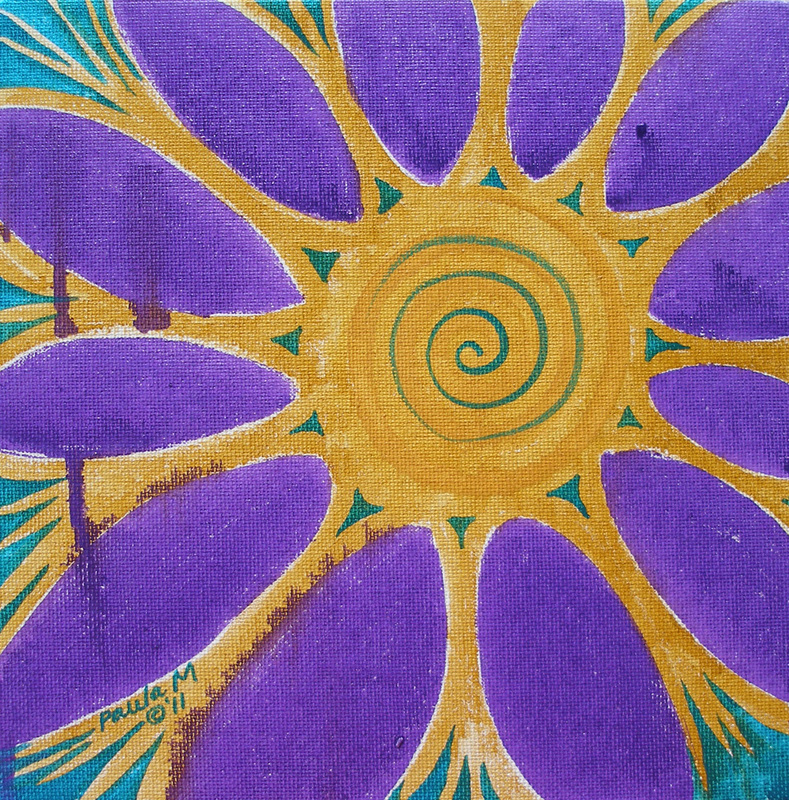 Plus, I’m listing bunches of good stuff on my Facebook Art page. Untitled for now, 20 x 20" oil on linen, Not available for sale until November.